Due to many matters, horses often have problems with their hooves. For example: inadequate care, bad stabling, and inappropriate or incomplete nutrition. These are the first and most common issues that have to be checked before a proper treatment is possible. In general, a bad hoof condition and stagnation or disruption of the horn growth can point to a shortage of minerals or a failing absorption of it through the stomach and the intestinal canal. 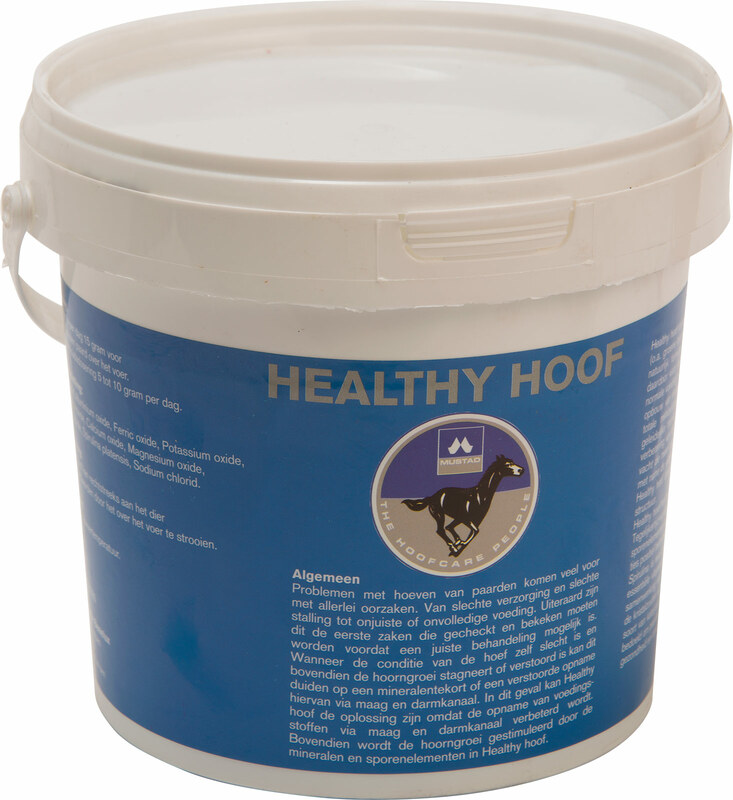 In this case Healthy Hoof can be the solution because it improves the absorption of nutrients in the stomach and the intestinal canal. Besides that, the horn growth is stimulated by the minerals and trace elements.